We eat o-hagi(or botamochi) at Higan in spring and autumn. It's called ohagi in the season for hagi(萩:Lespedeza or Japanese bush clover). The Japanese bush clovers in Sendai(仙台) are now at their peak. We associate Sendai with Date Masamune (伊達 政宗,1567-1636), who was a fearsome warlord during the Warring States period and the early Edo period. He was also called dokuganryu(独眼竜,one-eyed dragon) because of loss of the right eye due to smallpox. He was the first lord of the Sendai Domain and formed the basis of today's Sendai City in Miyagi Prefecture. "Meiboku Sendai Hagi(伽羅先代萩)" is a kabuki or bunraku play based on the internal strife in the Sendai Domain between 1660 and 1671. It was premiered as a kabuki play in 1777 and as a bunraku play in 1785. The actual incident like this. After the 3rd lord of the Sendai Domain was deposed by feudal lords related to him due to his debauchery, Date Tsunamura(伊達 綱村) became the 4th lord of the Sendai Domain. His granduncles who were the feudal lords of another domains had real power as guardians for him because he was only two years old. However, the domain were mired in confusion because there was internal strife. A chief retainer and one of his granduncles strove to build a centralized governance structure, and some members of the Date clan strove to maintain the decentralization of power. The domain was divided into two factions by infighting over policy differences. In 1666, the lord was nearly killed with poison. 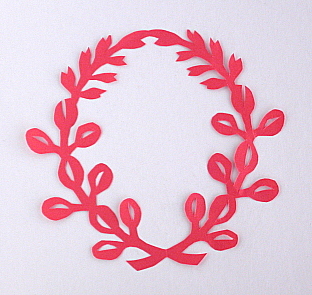 In addition, when a territorial dispute among two factions arose, the Sendai Domain gave an award against a member of the Date clan. The member appealed to the Edo Shogunate. Edo Shogunate summoned relevant people to the chief minister's house for trial on the 27th day of the 3rd month in 1671. The chief retainer of the Sendai Domain killed the member of the Date clan, and the chief retainer and a faction member of the Date clan killed each other. Only people belonging to the faction of the lord's granduncle were punished. All the men of the chief retainer's family including infants, adopted child to other homes were forced to commit suicide. The lord escaped punishment due to his tender age. The highlight of this play is the suffering of Masaoka(政岡) who is torn between love for her child and loyalty to her lord. Masaoka is the wet nurse of her young lord. Her little son also serves the lord. She prevents her lord from eating served meals for fear of poisoning and boiled rice with utensils for tea cerremony. She is a mother but the guardian of her lord. Her lord is a child but the lord of the domain. His son is a child but a retainer. While she praises her lord, she gets toughs with her son. Wives of a shogunate high-ranking official and a member of the domain visit the lord. Actually, they feel hostile toward the lord and give him poisoned confections as a gift from the shogun. Masaoka keeps him from eating them, but the wives blame her on suspecting a gift from the shogun. Then, his son obeys his mother's instructions. He comes running up to the confections, and he eats them. One of the wives stabs his son suffering from poison with a dagger on plea of terrible discourtesy to avoid detection. Masaoka desperately tries to stay calm without getting upset. When being left alone there, she displays her grief in the face of her dead son. We can't understand her. But kabuki actors and bunraku puppeteers say that Masaoka is a challenging role. Chinese characters "伽羅" are commonly read "kyara." Kyara(伽羅, aloes-wood) is a high-quality agarwood(沈香, jinkou). The 3rd lord of the Sendai clan went to brothels very often, wearing precious wooden clogs made of aloes-wood. 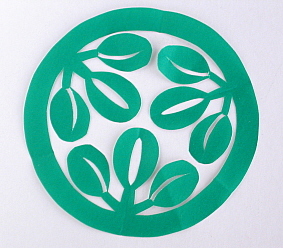 Sendai Hagi(先代萩) comes from the former(先代, sendai) lord's favorite Lespedeza buergeri(木萩, kihagi). Female servants of warrior families are allowed to return home during the Doll's Festival. This play used to be performed for them in the 3rd month. By the way, there is a sequel to the incident. In 1923, a covenant under joint signatures was discovered In the attic of a temple. The covenant says that a Buddhist memorial service for the chief retainer was held at the temple six years after his death and 139 of his former retainers attended it. Memorial service for him has been held at the temple every year. The name of the chief retainer is Harada Kai(原田甲斐), who is named Nikki Danjou (仁木弾正) in the play. He gets categorized as a devil in the play, but there are strong doubts about whether Harada Kai who endeared him to many people was a villain. Many people gather from the covenant that there were complicated circumstances behind the incident.